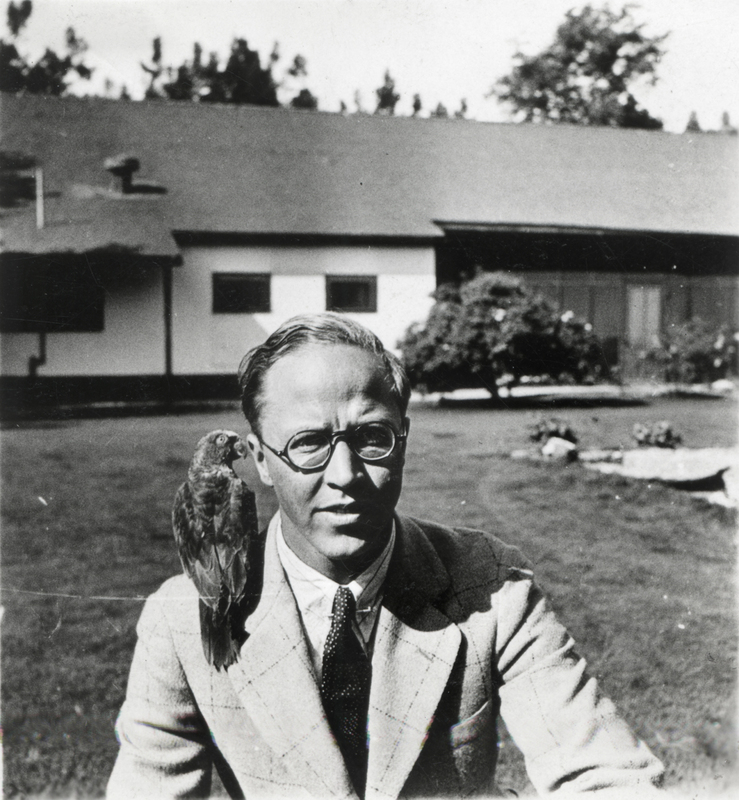 Ranch owner August Rübel and his parrot, Johnny Dingtoes, in front of the courtyard of the Rancho Camulos adobe, facing east (Rübel is looking west). 2½x2½-inch print. NT1026: 19200 dpi jpeg from original photograph | Nathalie (Rübel) Trefzger collection.